Well, well, well....I just got home and was checking out blogs and here you are!! Love your pics!!!!! Your stitching is fabulous and you are so pretty!! Hope you have a great weekend! It's really great to see a post from you Julianne. 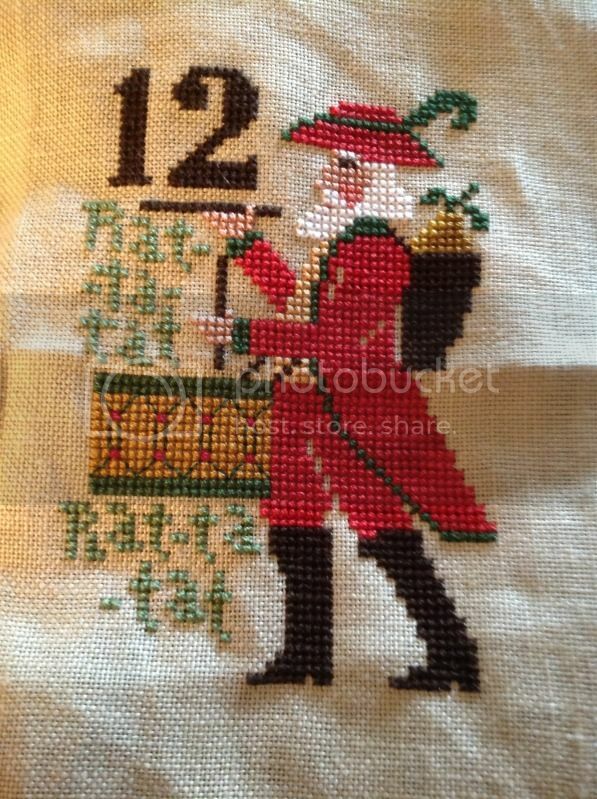 I always love to see your stitching, and your ornaments look wonderful. Love the Kindred Spirits design too. I do hope you received the e-mail that I sent you on 20th June, I had attached some photos that I thought you might like to see including a couple of wedding ones. So cute Julianne! I hope you are doing well. I love the little kitties in this one. Have a great weekend. Pretty stitching! I have the first pattern but have never done it. Yours looks wonderful. Love to see your stitching again. 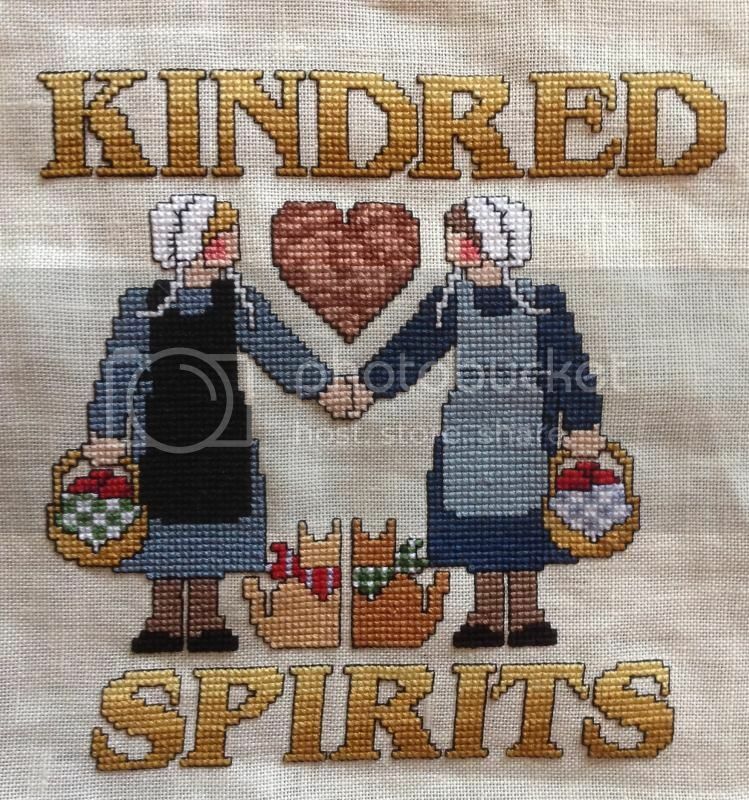 Kindred Spirits is such a sweet piece. And the PS days look great! Have a great 4th! It's made my day to see a post here today, I hope you are well. These look so great! I especially enjoy those PS Santas! 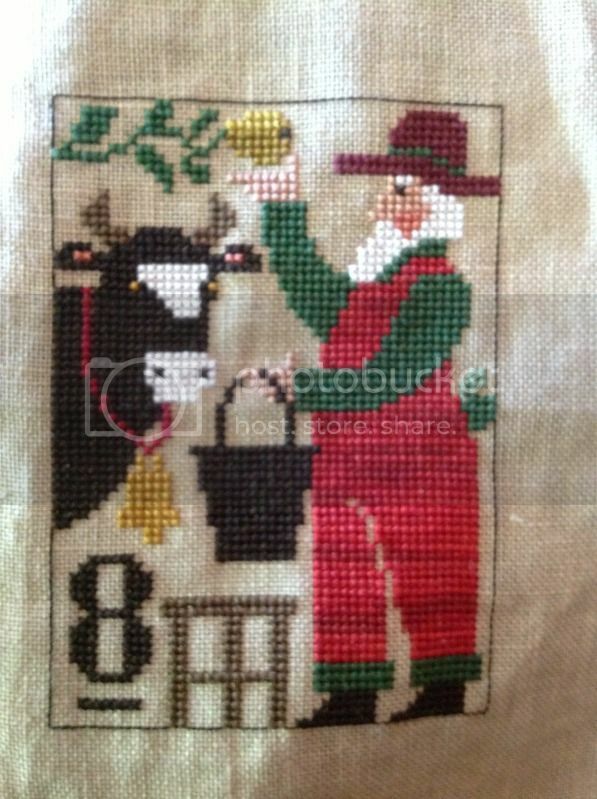 I wonder if you will be stitching more of them; I wonder if they will have borders. I may like it better without! Lovely to see you post Julianne! Hope all is well your way. Beautiful stitching! Many thanks for your ansewer about this chart "Avis de recherche" on Mon Aiguille. Bravo for all of those PS, they are son nice!!! 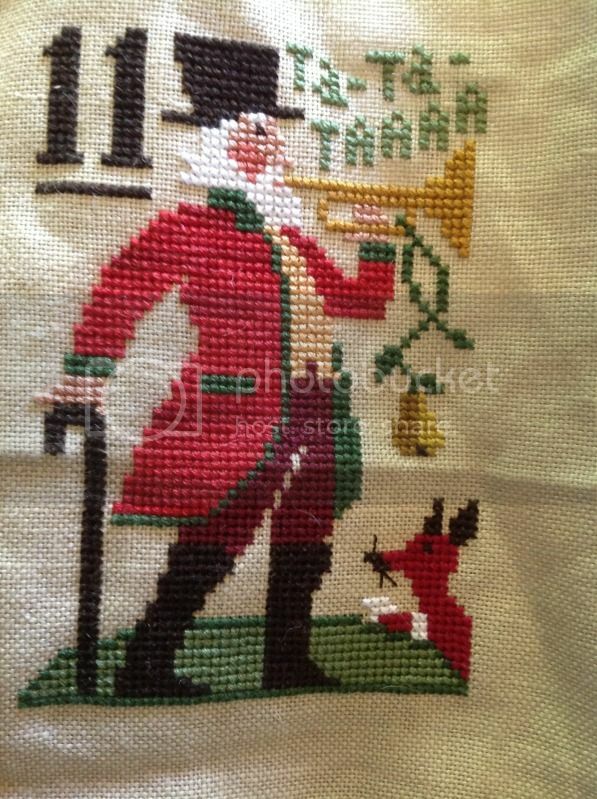 So great to see your new post and all your great stitching.Welcome back, Julianne! Some lovely finishes. Good to see your stitching always.